Rolls-Royce Limited is a renowned English car-manufacturing company and later, aero-engine manufacturing company founded by Charles Stewart Rolls and Sir Frederick Henry Royce on 15 March 1906 as the result of a partnership formed in 1904. In addition to the company’s reputation for superior engineering quality of which has led to its epithet as the “best car in the world”, Rolls-Royce Limited was known for manufacturing the high-powered “R” engines responsible for land and air speed records as well as successful performances in automobile racing. 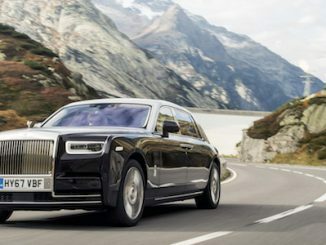 Rolls-Royce Motor Cars has enjoyed a strong start to 2018, with the marque seeing a significant boost to global sales.Worldwide sales were up 13 percent compared with the same period in 2017, with demand for all Rolls-Royce models holding firm in Europe, the US, and other key regions. There are encouraging signs of recovery in the Chinese market; like all luxury brands, however, the marque faces continued economic headwinds in the Middle East. Rolls-Royce has appointed Melanie Evans as Head of Sales Channel Development & Customer Relations from 1 August 2018. She will be based at the Home of Rolls-Royce at Goodwood, West Sussex. Evans joined Rolls-Royce in 2011, initially as Dealer Marketing & Digital Manager, progressing to Head of Commercial Development and then her current role as Head of Bespoke Sales and Marketing. Her new position incorporates a number of unique functions, including running the company’s Private Office. The New Rolls-Royce Phantom has been presented with a ‘Five-star Car’ accolade at the Autocar Awards 2018, which celebrates the best cars produced in the automotive industry over the past year. Introduced over 80 years ago, the famous Autocar road test remains one of the most thorough and exacting assessments to which a new car can be subjected. The New Phantom is one of just two cars to be awarded five stars in 2018. In a bold expression of dynamic luxury, Rolls-Royce unveils the Wraith Luminary Collection. Inspired by those who lead where others follow, the Wraith Luminary Collection will light the way for the luxury trailblazer. In response to an ongoing global demand for Rolls-Royce Collection Cars, the marque has created a Limited Collection of just 55 of these spectacular Wraiths. These motorcars join the highly exclusive ranks of collectible Bespoke masterpieces, envisioned by the Rolls-Royce Bespoke design team and collected by Patrons of true luxury all over the world.